Abune Andreas is an all-girls orphanage located in Dire Dawa, Ethiopia. There are currently 48 girls that live at the orphanage. The local church, Saint Augustine in partnership with Catholic Relief Services, helps provide some food to the orphanage, but all educational funding must be raised separately. Through donations, Ethiopia's Tomorrow aims to sponsor the educational needs of all the girls at the orphanage. In Ethiopia education quality varies widely. It is common for government run schools to have over 70 students per class and minimal materials to teach. 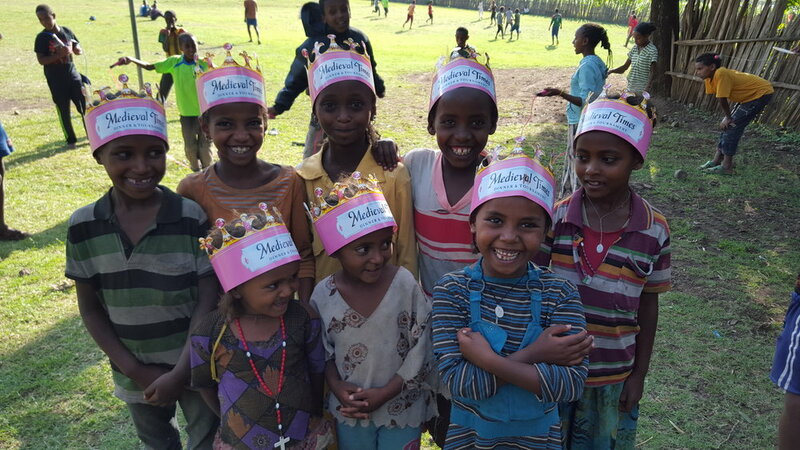 Every year, our founder Emmebeth, flies to Ethiopia to visit the local schools around the orphanage to ensure that the girls are setup for the coming year. During these visits she will speak with principles, pay school fees, purchase uniforms, supplies and organize tutoring that the girls will need for the year.